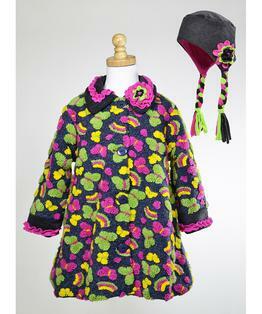 Lime Butterflies and sweet rainbows are the dimensional design on this winner of a coat. Included hat is adorned with flower and braids. Flower embellishment at the collar and side of the hat. 100% Polyester. Machine Washable.